His somewhat genius dissection of human interaction and observational humor occasionally leaves you questioning how he does it. 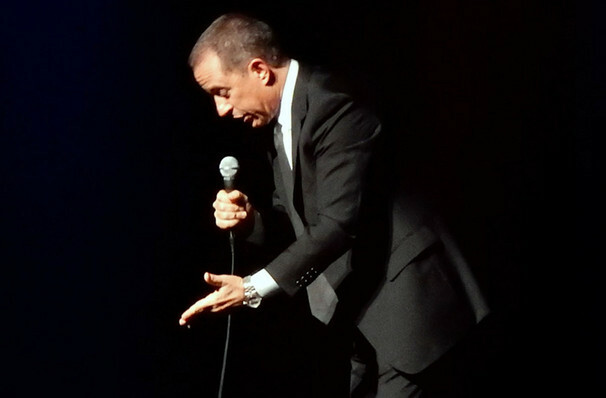 Arguably one of the greatest comedians of his time, Jerry Seinfeld has been entertaining audiences with his witty observations of the mundane little wrinkles of life since he stepped up to the mic in 1976. 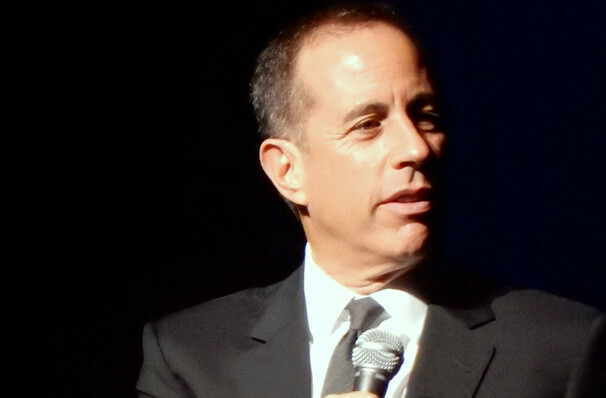 Graduating from a gruelling 300 stand-up shows a year, he turned his material into what would become his crowning achievement, leading quirky characters Elaine, George and Kramer to certified comedy gold in the smash-hit sitcom Seinfeld. When the show came to a close after a glorious 10 year run in 1998, the gifted entertainer returned to his stand-up roots and continues to tour, while also starring in his Netflix series Comedians in Cars Getting Coffee. 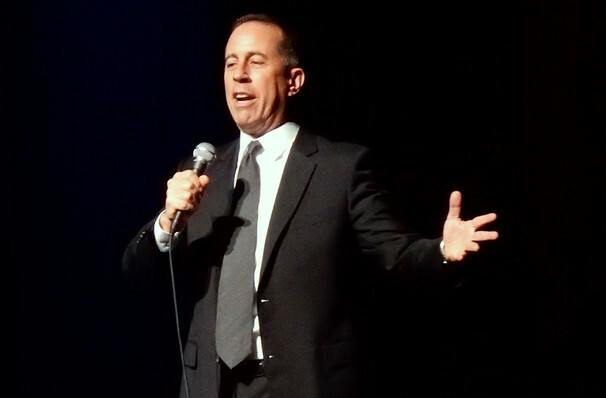 Seinfeld's lasting appeal is credited to his astounding observational skills, as well as avoiding coarse language, dirty jokes or politics, so that his material holds a truly timeless quality. A key theme of his jokes are found in detailing personal relationships and uncomfortable social obligations that we can all sympathize with! Today he continues to polish his skills with his extensive tours of the US and Canada. Sound good to you? 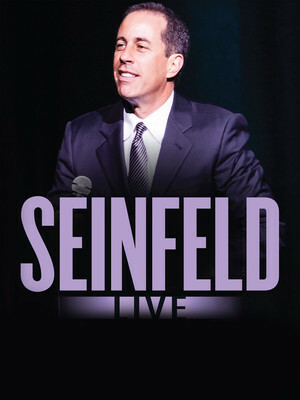 Share this page on social media and let your friends know about Jerry Seinfeld at The Colosseum at Caesars. 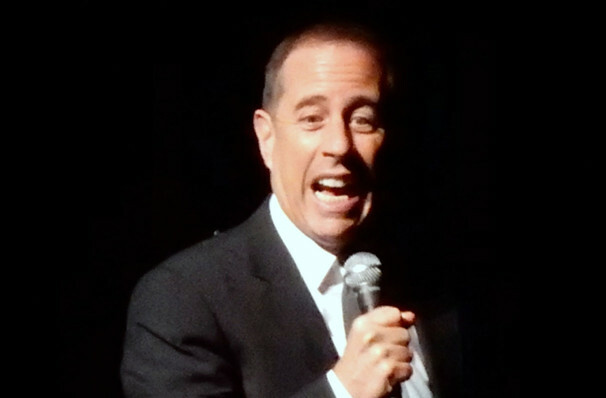 Please note: The term The Colosseum at Caesars and/or Jerry Seinfeld as well as all associated graphics, logos, and/or other trademarks, tradenames or copyrights are the property of the The Colosseum at Caesars and/or Jerry Seinfeld and are used herein for factual descriptive purposes only. We are in no way associated with or authorized by the The Colosseum at Caesars and/or Jerry Seinfeld and neither that entity nor any of its affiliates have licensed or endorsed us to sell tickets, goods and or services in conjunction with their events.